Authentic Bed and Breakfast Blog: Let's Eat! There are many great places to dine here in Lancaster County. From fine dining to PA Dutch, there is a place to fit everyone’s needs. 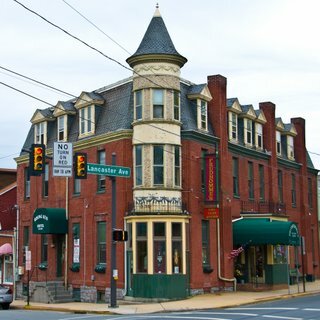 What's even better is many of Lancaster's restaurants offer discounts when you stay at one of the Bed and Breakfasts here in the county. So here's a lineup of the places to dine that are also passport partners. Bon Appetite! 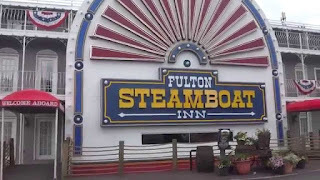 Guests can dine aboard a steamboat during a visit to Huckleberry’s at the Fulton Steamboat Inn. 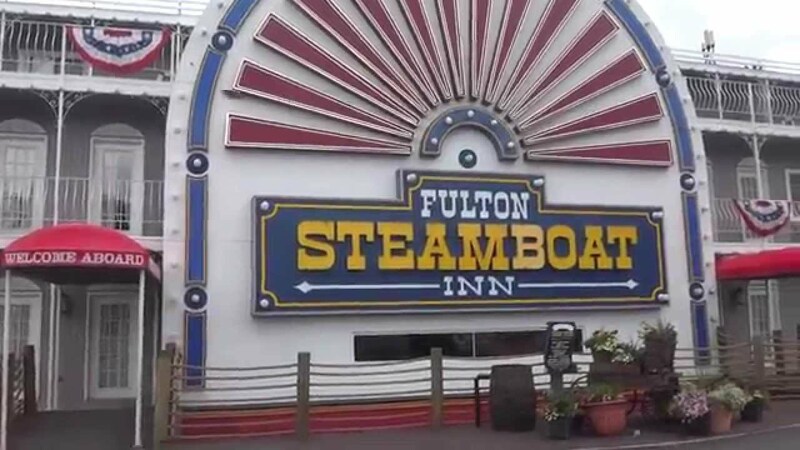 Located on the corner of routes 30 and 896, this destination is a unique find for any meal. The menu offers breakfast, lunch and dinner, including Lancaster favorites like chicken pot pie and meatloaf. They also offer seafood entrees and much more. Lily’s on Main in Ephrata just introduced a new fall menu for its guests. Enjoy pork and sea scallops, duck cassoulet, pecan-crusted chicken and much more. Lily’s also offers unique appetizers, lighter fare and a full bar. Make it an all-inclusive date and head next door to the Ephrata Main Theatre and catch a movie. Molly’s Pub, located in downtown Lancaster on East Chestnut Street, is an Irish-themed restaurant offering traditional Irish favorites as well as some great burgers and dinners like crab cakes, filet mignon and vodka penne. Head down the street and check out Lancaster Brewing Company on Plum Street. The rustic décor of the restaurant overlooks the brew works downstairs. Be sure to try a Double Chocolate Milk Stout, Strawberry Wheat, Shoo-fly Pie Porter or Lancaster Lager. The menu does not disappoint either, offering unique eats like cider-braised Berkshire pork shank, ancho and pumpkin seed-crusted salmon and New York steak frites, just to name a few. If you’re looking for something a little more traditional, check out Hershey Farms in Ronks. They serve plenty of Lancaster’s staples as well as The Grand Smorgasbord, a seemingly endless offering of appetizers, salads, sides, main dishes and desserts. A great time to check it out is on your birthday, when your meal is free. Good and Plenty in Smoketown also offers authentic PA Dutch cooking, Amish food and baked goods.﻿ Instead of a buffet, Good and Plenty offers family-style dining, where servers bring your table all-you-can-eat dishes. There is a traditional menu guests can order from as well. 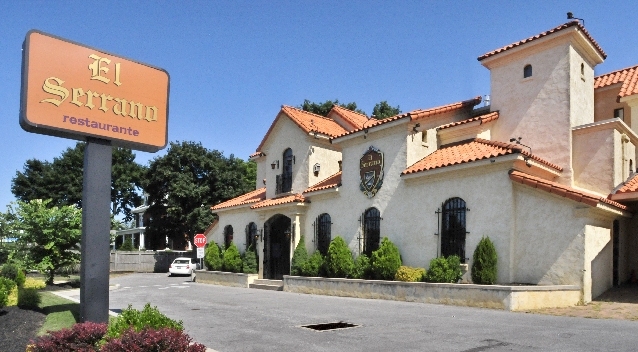 If culture is what you're in the mood for, try El Serrano on Columbia Avenue in Lancaster. The Peruvian Restaurant is not just visually appealing, it has the food and drinks to match. It is also home to Culturas at Clemetinas, a tapas bar that is Muy Bueno. The Greenfield Restaurant on Greenfield Road has been a family-owned and operated business for 40 years. The restaurant features a handful of dining areas, including a private room-for-two wine cellar. 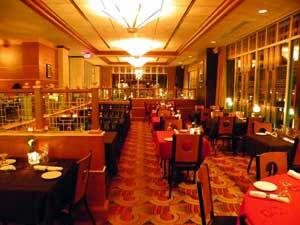 Its menu features grilled fresh Scottish salmon filet, giant diver sea scallops, pork chops, filet mignon and more. Check their website for a list of entertainment and live music that will compliment your dinner perfectly. Reflections, located in Leola, serves an eclectic menu with items such as barbecue-stuffed yam, hunter’s pie, seared coffee-crusted duck, and calves liver (yes, calves livers). They also offer a great happy hour from 1-3 p.m. and 5-7 p.m. daily with a light fare menu and great drink concoctions to pair with it. The Brasserie is located on Lincoln Highway East and just introduced its fall menu which includes a Chilean sea bass, rack of lamb, grilled steaks and pasta rustica to name a few. The full-bar offers plenty to drink and a bistro menu. 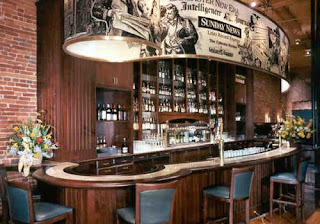 If you’re in town on Wednesday, head to the Brasserie for trivia and test your knowledge. If it’s traditional and classical Italian food you’re craving, visit Lombardo’s on Harrisburg Avenue in downtown Lancaster. The family-owned business has been serving its family recipes since 1946. House favorites include baked lasagna, chicken or veal parmesan, and plenty of pasta selections with a variety of sauces from which to choose. Speaking of traditional and classic, the Prudhomme family is serving up some of N’Awlins’ finest at Prudhomme’s Lost Cajun Kitchen in Columbia. It boasts the finest food this side of the Mississippi like the catfish platter, shrimp sunny, swampi and Big Bubba’s combo. And coming soon is live crawfish delivered from Louisiana. Prudhomme’s has live music Friday, Saturday and Sunday or visit every other Tuesday to check out Pete the Magician. The Brickerville House in Brickerville is a quaint restaurant in the northern part of Lancaster county serving breakfast, lunch and dinner. They’ve got a little bit of everything to meet your needs with burgers, sandwiches, steaks and chops, seafood, stir-fry, Italian entrees and more. During your visit, be sure to stroll through the Brickerville Shops featuring Lancaster’s Specialty Market, Vintage Jewelry Design, Wertz Candies and more. Located in the heart of the city is The Pressroom, where “great food and drink make headlines.” The restaurant is located beside the Lancaster Newspaper building and models its theme after the paper. They offer happy hour specials, live music and a unique menu. Try one of their pizza pies or Mahi tacos, chipotle Alfredo, seafood cioppino or a burger. If you’re visiting in the warmer months, be sure to check out their outdoor courtyard complete with a waterfall. Pasquale’s Italian Restaurant and Pizzeria is located on Old Philadelphia Pike. If it’s light fare Italian food that you’re looking for in a casual atmosphere, this is the place for you. Whether you’re dining in or taking it to go, Pasquale’s has something for everyone – cheesesteaks, pastas, salads, and, of course, pizza. They also deliver if you’re comfy and cozy at one of our B&Bs. While staying here in Lancaster, enjoy the scenery, our bed and breakfasts and some great eats. For a list of B&Bs, visit www.authenticbandb.com.